A petition asking the British government to revoke article 50 and reconsider its plan to leave the European Union is to be debated in parliament on 1 April. The call to put the brakes on the UK's exit from the EU had gathered more than 5 million signatures by Thursday as Brexit talks remained in deadlock. With fears of a "no-deal Brexit" looming large, and the government's back increasingly against the wall, anti-Brexit protesters have gone online to vent their frustration at the chaotic process. 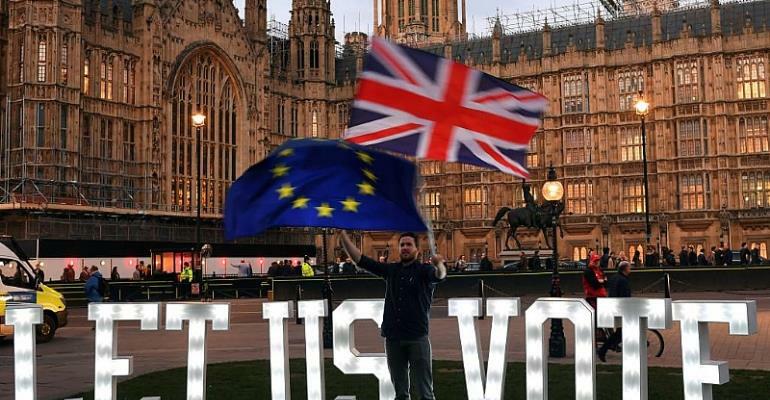 The petition calling for a people's vote continued to grow as Prime minister Theresa May sought fresh approval from MPs for her withdrawal agreement. The debate to take place on Friday, however, is unlikely to be a political declaration on the way the future EU-UK relationship will work, leading to criticism from the Labour party that it would lead to what they called the "blindest of blind Brexits". "The motion is new, substantially different," Bercow told parliament. But it is conditional on parliament voting through the Prime minister's deal by Friday 29 March, the day Britain was originally scheduled to leave the bloc. Parliament's failure to pass the pact could result in a feared "no-deal Brexit" scenario on 12 April. With no clear way out of the Brexit deadlock, the pound dropped on Thursday, despite May's dramatic pledge on Wednesday to quit in order to save her deal.